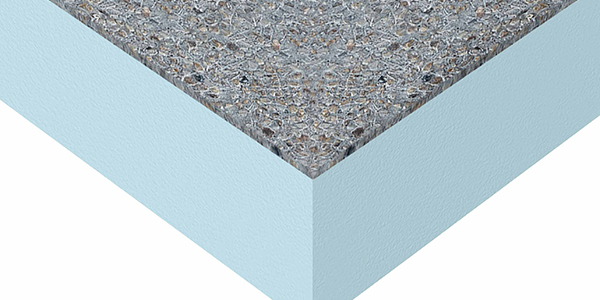 Environmentally friendly, interlocking extruded polystyrene cement topped board creates a lightweight protected roof with a high compressive strength, good thermal and fire performance, resistance to wind uplift and is safe and easy to install. With reduced dead loading, suitable for intermittent traffic to protect the waterproofing. Suitable for inverted roof, vertical cladding in basements perimeter walls it is ideal for new build or refurbishment or a reinforced decorative cementitious surfacing for pedestrian terrace decks.